Trick or Treat? 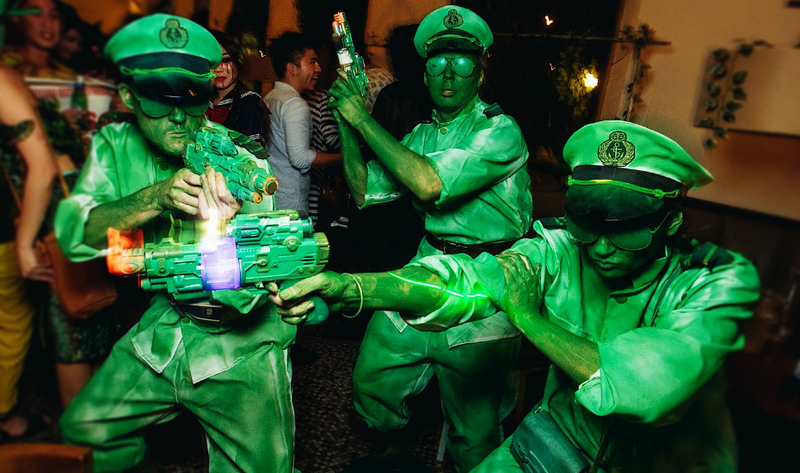 Halloween has become an occasion that more people in Singapore are growing to love. 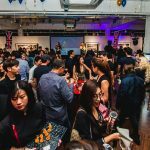 Whether you’re looking for the most intense Halloween event or a more toned-down celebration with your friends, we bring you a list of 10 Must-Go Halloween Events in Singapore! Prepare for one of the most frightening nights with Universal Studios’ Halloween Horror Nights 6. 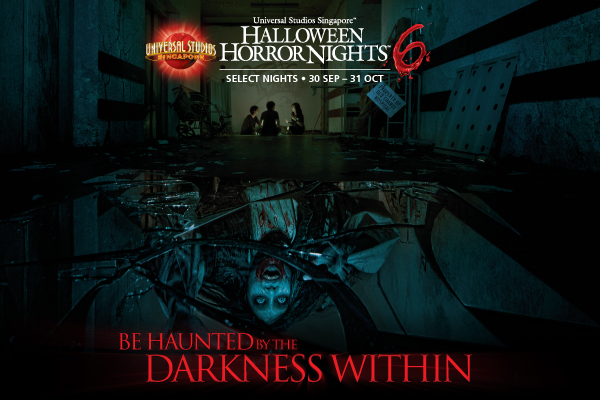 Back for the sixth year, Universal Studios’ Halloween Horror Nights is Southeast Asia’s award-winning Halloween event and is one of Singapore’s most anticipated events. 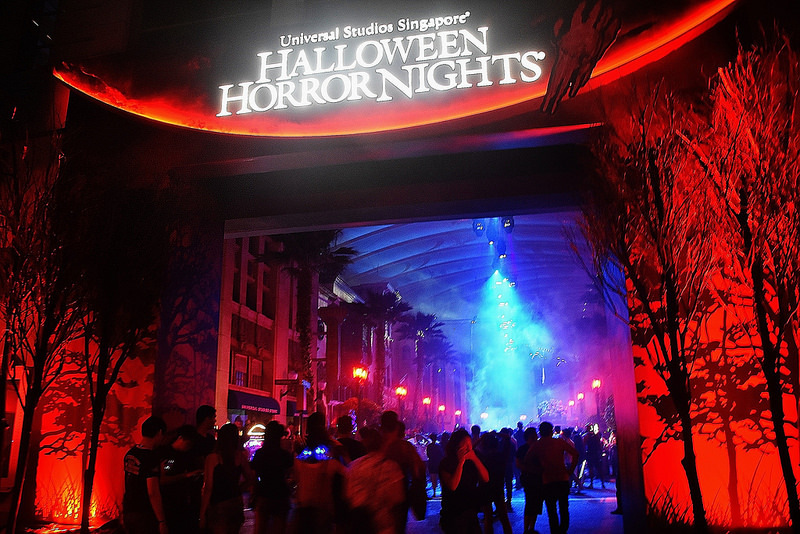 The streets of Universal Studios Singapore theme park will come alive with hordes of horrifying monsters, demons and ghouls. Explore the record number of terrifying haunted houses, brave multiple creature-filled scare zones, enjoy first-ever procession of the dead, deranged live shows, and experience the park’s thrilling rides all night: Battlestar Galactica: Human vs Cylon, Transformers The Ride: The Ultimate 3D Battle, Revenge of the Mummy! Unleash your inner badass and gear up for the ultimate showdown at OverEasy Orchard this Halloween! Dance the night away to hits by local DJs, KFC and KiDG and have fun with beer pong or downing shots with the sexiest ring girls and hottest wrestling hunks. You may also stand a chance to win a “best dressed” prize! Enjoy a different kind of Halloween celebration with a Halloween opera! 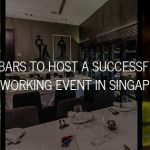 Organised by L’arietta Productions, a Singapore-based chamber opera company, OPERACALYPSE NOW! !, a three-part musical showcase themed around an ominous apocalypse. 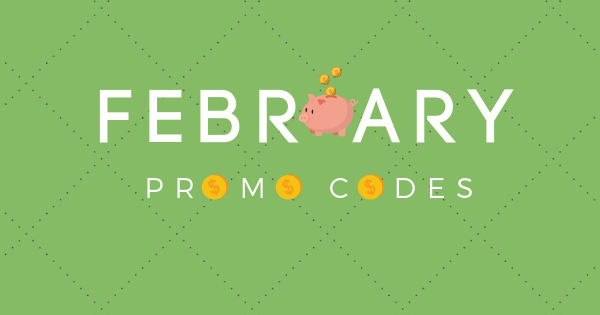 Think zombie apocalypse with part-romance, part-horror! 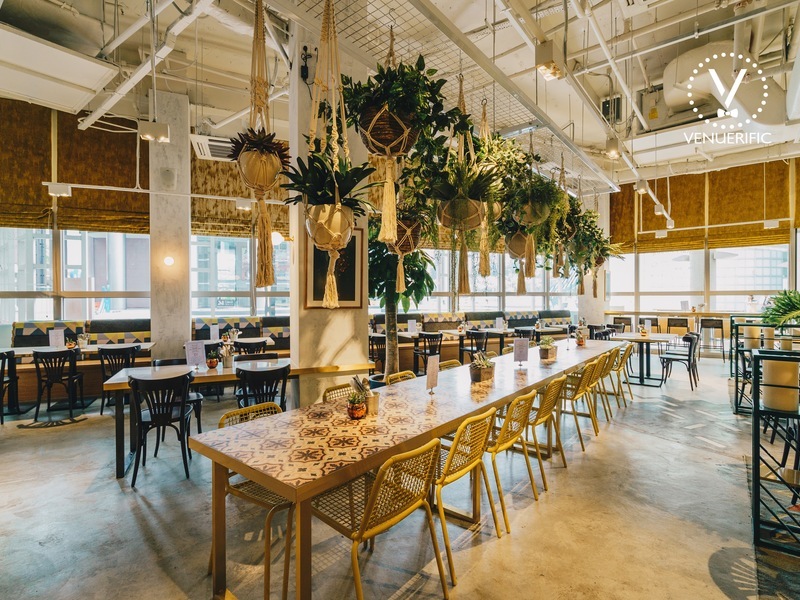 Address: Aliwal Arts Centre, 28 Aliwal Street, Singapore 199918. 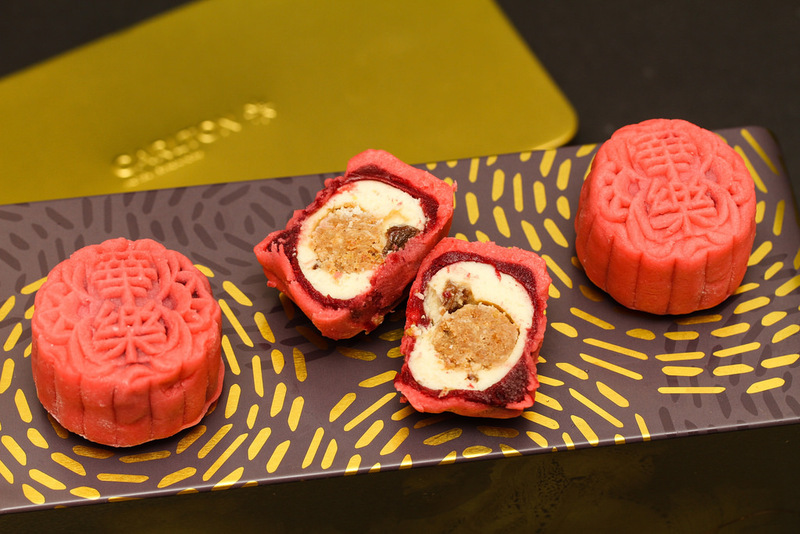 Party up freaky style at Marina Bay Sands’ CE LA VI! At this spectacular rooftop party brought to you by London’s Cirque le Soir, you can have some fiendish fun as magicians dazzle and dizzify the crowd, performers swallowing swords, doing crazy acrobats and freaky clowns giving you a heart-stopping performance! 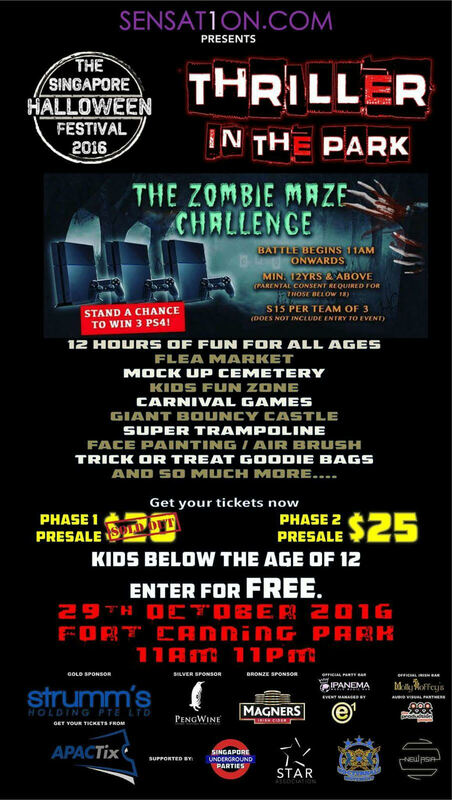 Get a chance to be chased by zap real life “zombies” in a maze of horror, something you have never experienced for Halloween in Singapore. Presenting to you the first ever Singaporean Halloween Festival, Thriller in the Park lets you have ghoulish fun, carnival style! 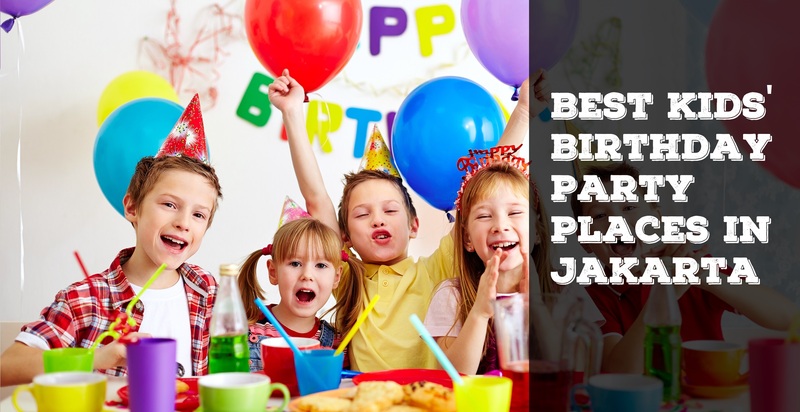 Have fun with your buddies over a picnic in a park in your extravagant costumes while you enjoy top local acts and DJs and the pop-up bars and bistros! 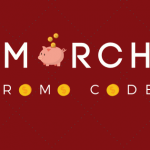 During this 12-hour extravaganza, gear up for cosplay costume parade, celebrity appearances, fun-filled games such as tarot card readers and giant Jengga! 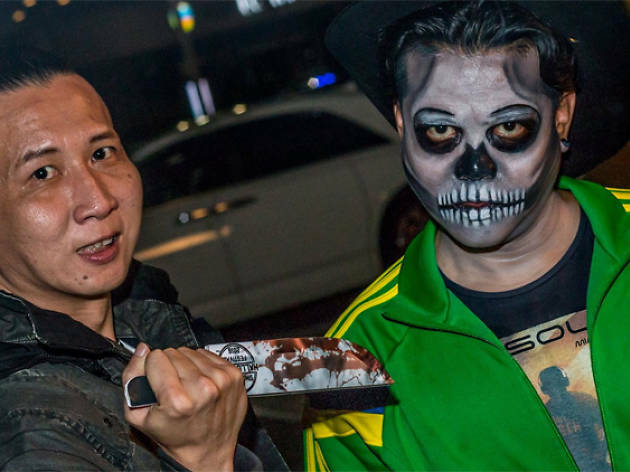 Brace yourself for super freaky haunted houses in the heart of Orchard Road! 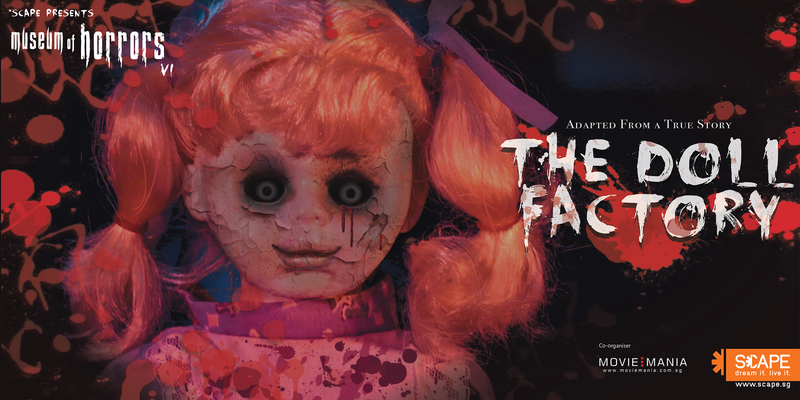 Go on a spine-tingling journey into a deranged doll maker’s factory with seven different chambers and you’ll be sure to be creeped out by the freaky, blood-curling “vintage dolls”! Get your freak on and embark on a journey onboard a bewitched ship. Haunted by an 1800s tragedy that claimed the lives of everyone on the boat, the souls finally awaken after several centuries and walk around with you onboard. 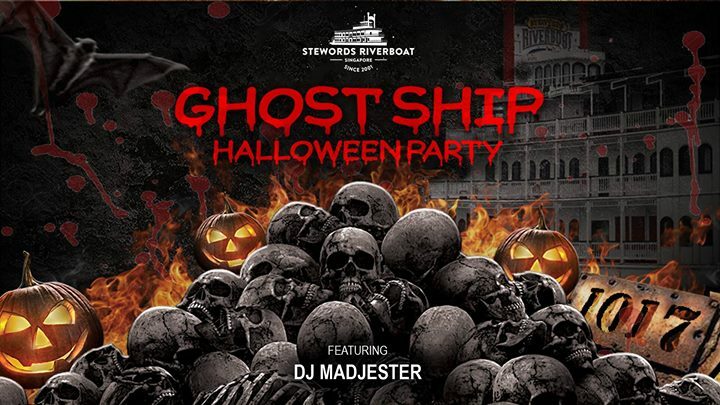 Dance up a storm and party on the top deck this spook fest! Calling all spooky ragers! 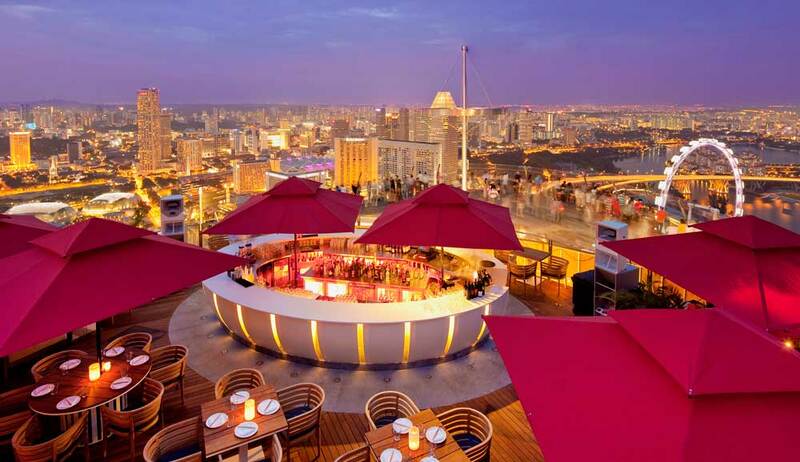 Get ready to head up to the 1-Altitude rooftop bar for a hair-raising experience atop the world’s highest alfresco bar. 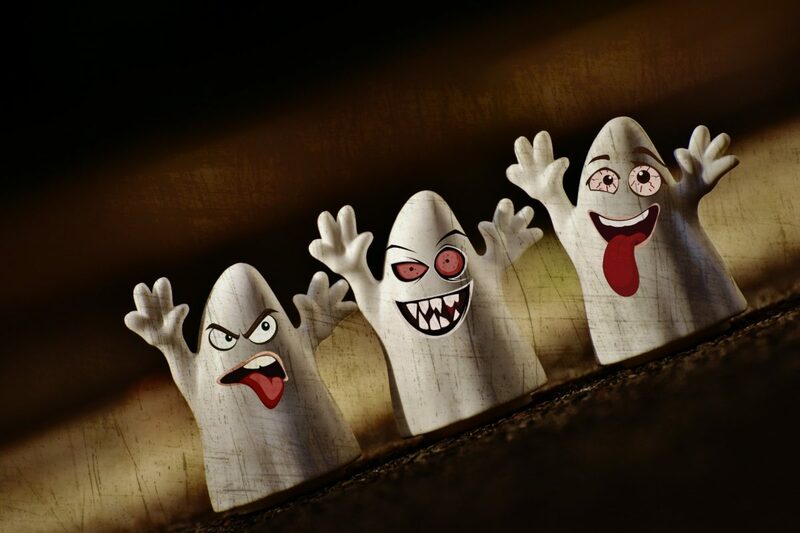 Have a horror-filled night with non-stop beats by resident DJs. Plus, if you turn up in your scariest best, you might get free entry! 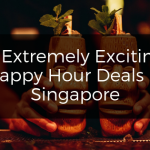 Admission: $45 for 1-Altitude, $40 for Altimate, both include one Carnevil cocktail and one premium pour. Dress up in full costume for free entry. Feel that chill run down your spine? 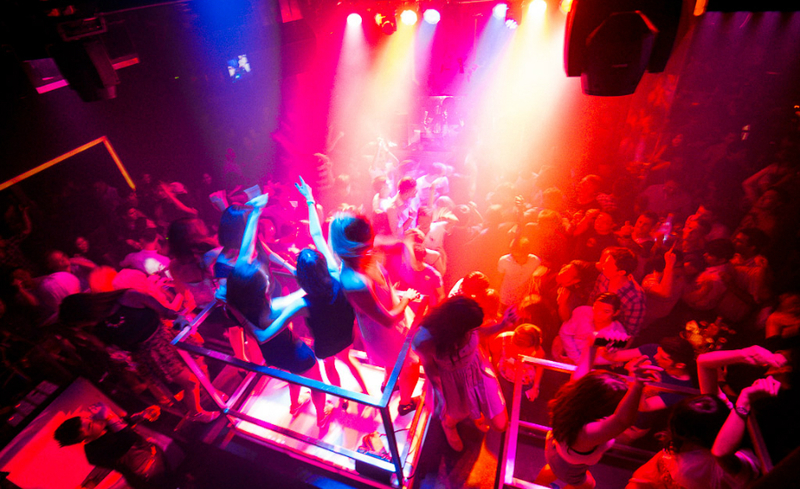 It’s three days’ worth of Asia Ghost Stories parties at Attica, so enter at your own risk! Starting with Naughty Nightmares on Wednesday complete with goth makeup and nail services this ladies night; Lost Souls on Friday wandering and Asia Ghost Stories on Saturday with Malay Pontianaks to Sadakos and Chinese hell guardians waiting to terrify you from every corner of the club! 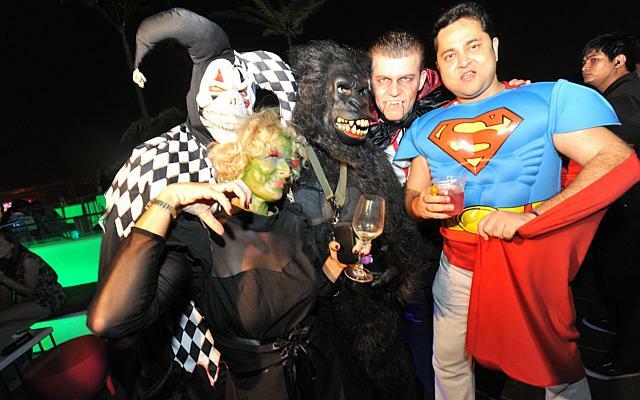 Admission: The best dressed costumes of each night will win a $500 Attica credit voucher to be used at the club. 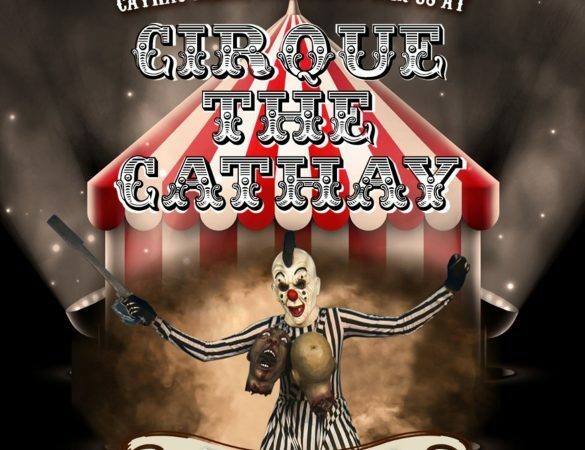 The Cathay has a fright fests up its sleeve! Go on a clown-themed haunted maze with psychotic clowns as inspired by one of the most iconic clowns in film, Pennywise (better known as ‘It’) from the Stephen King adaptation. 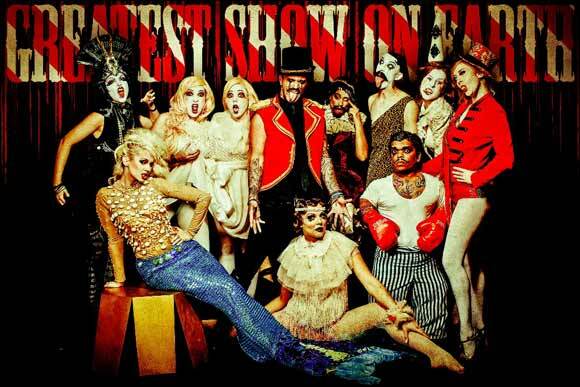 You’ll be sure to have a bone-chilling experience with these maniacal clowns wait to scare you! So for all you thrill seekers, get ready for the best fright fest of the year and brace yourself for the worst nightmares!